﻿ URARTHONE rheumatic HOMEOPATHIE LEHNING sold in our online pharmacy bio. 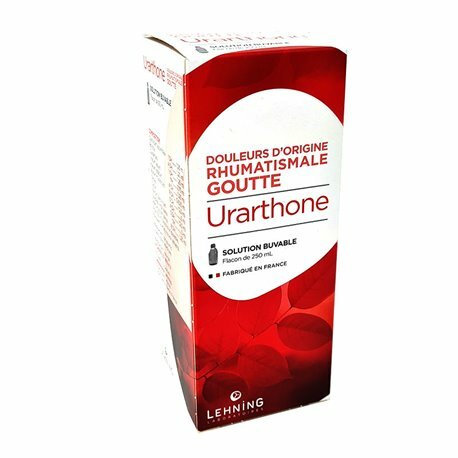 URARTHONE LEHNING is a homeopathic medicine traditionally used in metabolic rheumatism (gout, pseudogout ..) and flammable flare of arthritis. This medication contains homeopathic remedies and tinctures. URARTHONE is used in adjunctive treatment of osteoarthritis, joint pain and rheumatism and gout. Colchicum D1 0.5%, 0.5% TM Bryonia, Dulcamara TM 0.8%, 1.5% TM Viscum album, Kalium iodatum D2 0.5% Aurum muriaticum Natronatum D8 0.25% Aqua silicata D2 5 % D4 Sulfur 2%, 2% Rubia TM, Nat salicylicum D3 5% Betula TM 2% Mercurius corrosivus D4 0.5% Aqua Destillata 63.5% Spiritus vini 14%, 2% caramel. Adult: 1 tablespoon, 2 times a day, in a warm infusion, in the morning on an empty stomach and at bedtime. In case of inflammatory flare: 1 additional daily dosing. The effect of this medicine during pregnancy or lactation is poorly understood. 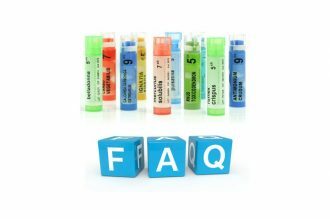 The evaluation of the potential risk associated with its use is individual ask your pharmacist or your doctor. Lehning drugs are developed and manufactured to a homeopathic method described in the French and European Pharmacopoeia, and in accordance with strict quality criteria. Known to be effective, solutions Lehning are under preparation and rigorous controls, from their design to their availability in the pharmaceutical dispensary. In homeopathy, 2500 substances are used, the most common to the rarest, enjoying a SEO and full traceability to drug delivery. Raw materials of plant, mineral or animal all follow a strict schema validation before being used in the manufacturing process. Based on many homeopathic preparations, tinctures are obtained by maceration of a single medicinal plant in pure ethyl alcohol. Thereafter, it is possible to assemble several tinctures. Known for their high quality, the Lehning tinctures are produced in strict compliance with Good Manufacturing Practices (GMP). All specialties drops Lehning are continuously produced on automated lines in areas controlled atmosphere to prevent any risk of external contamination. The dry forms (tablets, capsules, granules, powders) are prepared in the same hygienic conditions, using methods combining modern technologies with an own expertise in homeopathy. Lehning is a French homeopathic laboratory that offers complex medications to fight cold or flu symptoms , digestion problems, stress or sleep disorders.